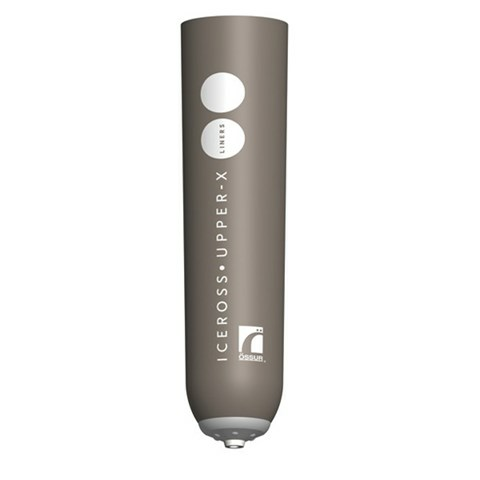 The Iceross Upper-X liner is a comfortable liner with an excellent suspension method for upper-extremity amputees. Unlike other current methods of suspension, Iceross Upper-X eliminates the need for straps and belts and has an ultra-thin, pliable profile that provides more user comfort and increased limb sensation. Superb suspension is obtained by combining quality DermoSil™ silicone with a full-matrix outer cover that virtually eliminates pistoning while allowing radial stretch for volume accommodation. A unique rolling method makes donning and doffing hassle-free. Össur recommends that Iceross Upper-X liner is used in conjunction with the Icelock® 700 Series.